What are the benefits of using RevitaLume? How should RevitaLume be used? Is RevitaLume tested on animals? There are lots of eye serums and eye creams out there. Why should I choose RevitaLume? How much RevitaLume comes in each pump? How long does 15ml of RevitaLume last? Do you ship internationally? How much does it cost and how long is delivery? RevitaLume helps eliminates dark circles under the eyes while strengthening the capillaries and diminishing future dark circles. The active ingredients in RevitaLume promote healthier and smoother-looking skin by soothing the skin and nourishing it's collagen-producing layers. Clean the skin with your facial cleanser of choice and pat dry. Apply RevitaLume twice daily – once in the morning and once before bed. Gently rub a conservative amount of RevitaLume under your eyes until it's completely absorbed. RevitaLume is a concentrated formula, so be sure to use it sparingly. For best results, RevitaLume should be applied daily. Daily use encourages the permanent reduction of dark under-eye circles. The majority of users witness results within a few days while others notice a difference immediately. In rare situations, it may take up to 30 days to see noticeable results. Yes, RevitaLume is completely safe. This unique formula is specially created to as gentle on the skin as possible. Avoid getting RevitaLume in your eyes, open wounds, or your mouth. How does RevitaLume compare to other products? 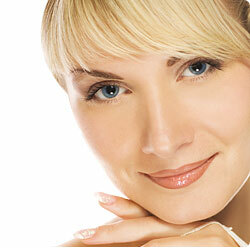 RevitaLume utilizes today's most effective ingredients including potent peptides and flavonoids. Its large 1.25-oz size and low price both make RevitaLume a great value. One bottle lasts roughly two months. RevitaLume comes in a 15ml pump. Each RevitaLume pump lasts one to two months, depending on how frequently you use it. When used as directed each RevitaLume will last about 60 days. Absolutely! Our website is 100% secure. We use 128-bit encryption (the industry standard in online security) so there is absolutely no chance of a security breach. However, if you are uncomfortable ordering over the Internet please contact our 24-hour order hotline at 1-800-335-9323. See the map above. Keep in mind that most order are processed within one business day. Go to our tracking page and enter your order number to track it in real-time. Please note that detailed tracking is not available for International or APO orders. Yes, we ship internationally. Please review the shipping table for more details. If your order doesn't clear customs for some reason, then please furnish us with the proper documentation verifying this occurrence and well gladly refund the cost of your order minus shipping and a $10 restocking fee. You can order online with absolute safety using a credit card or debit card with the Visa, MasterCard, American Express, or Discover logo. As an alternative, you can call 1-800-335-9323 to place your order. Mail order is not available at this time. Absolutely! RevitaLume comes with a 30-day, no-hassle guarantee that gives you a chance to try the product and witness for yourself the amazing difference it can have on your appearance and overall self-confidence. You can either place your order online via our order page or you can call our 24-hour order hotline at 1-800-335-9323. Please visit our guarantee page for more details and refund instructions.